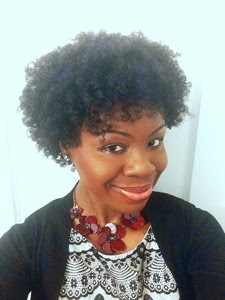 So when I took my extensions out about three weeks ago, I did a twist and curl style that I never posted on the blog. The picture does not show how beautiful my curls were popping. Maybe the video will. 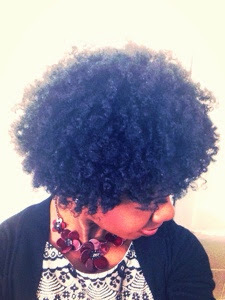 I washed and conditioned my hair, and applied a moisturizer the day before. The next day I put my hair in about twenty twists, and applied ONLY Jane Carter Solution Wrap and Setting Lotion to the twists. 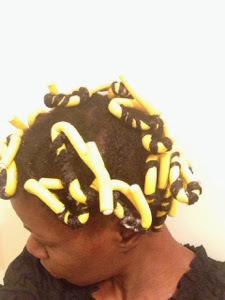 I then rolled about four twists on a Flexi rod. I letup hair air-dry overnight. The next day, I unraveled the twists with a little bit of oil on my hands. I have a video for this and it should be up by next weekend, I hope! Very pretty. I will try this method on my daughter's type 4 hair. Beautiful! I've been loving twist in curls lately myself.